Greek, Etruscan, & Roman Bronzes (MFA), no. 615; Sculpture in Stone and Bronze (MFA), p. 126 (additional published references). 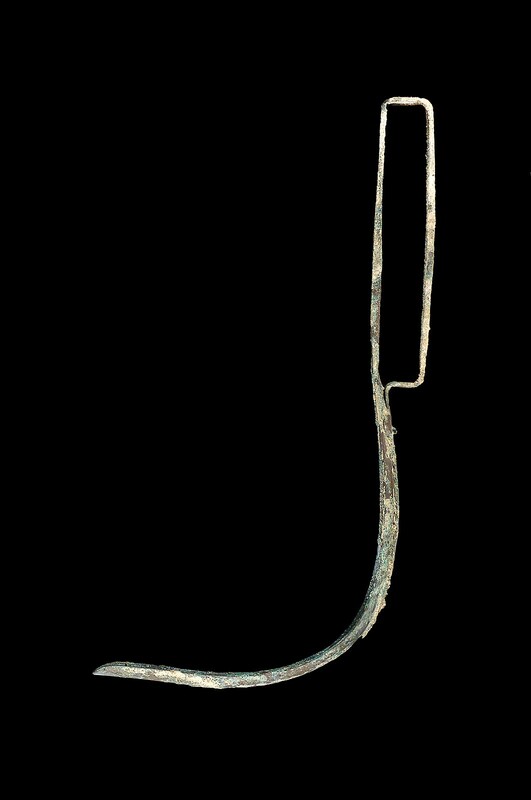 This strigil comprises a narrow, deeply curved blade; a narrow handle with a squared turn; elongated tip: two leaf-shaped finials connected by a thin member, both finials being riveted to the blade. Green and brown patina.